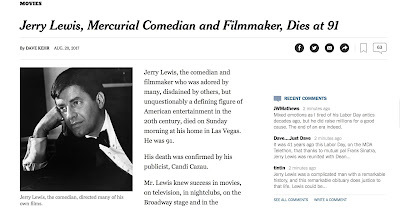 Jazz Interface: Jerry Lewis, a jazz fan, has died. Jerry Lewis, a jazz fan, has died. Jerry Lewis was a very creative soul.